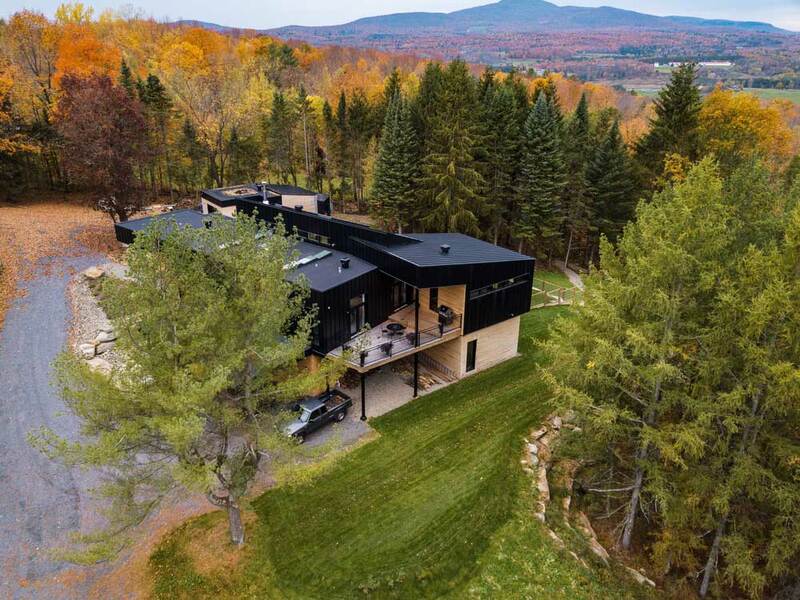 Modern and functional collide in this fabulous hillside home, fueled by texture, accent colors and sheer size. 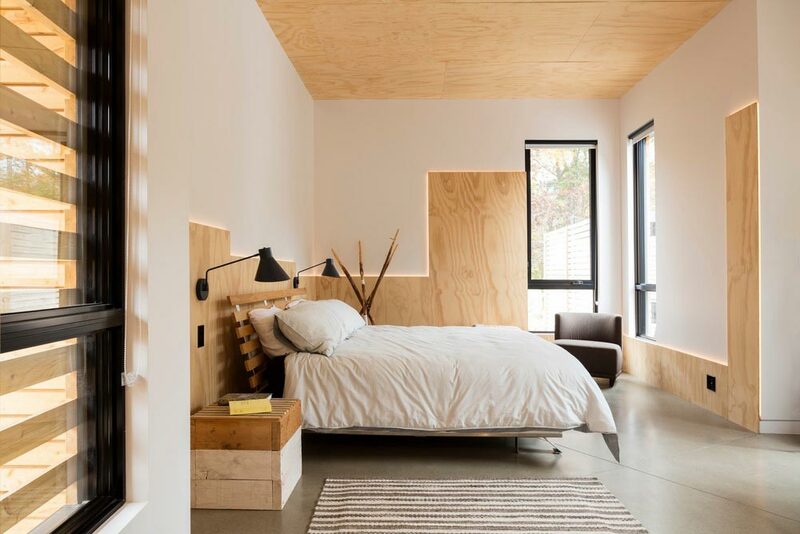 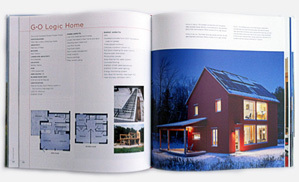 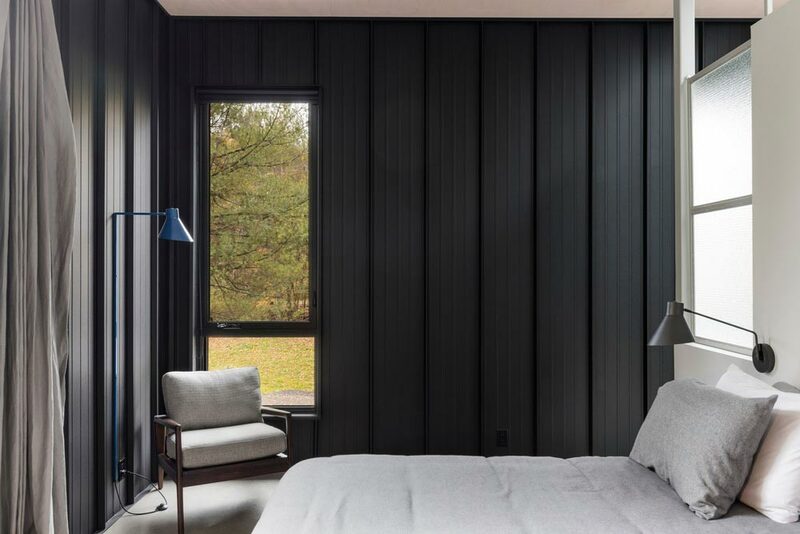 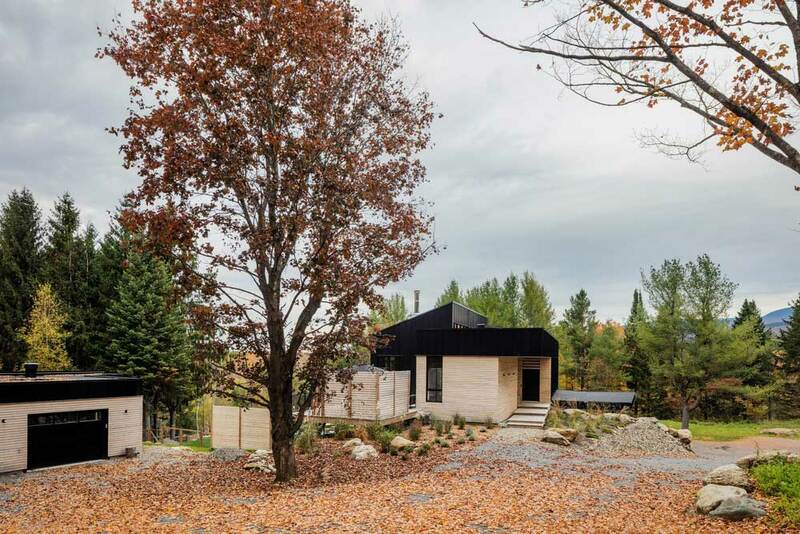 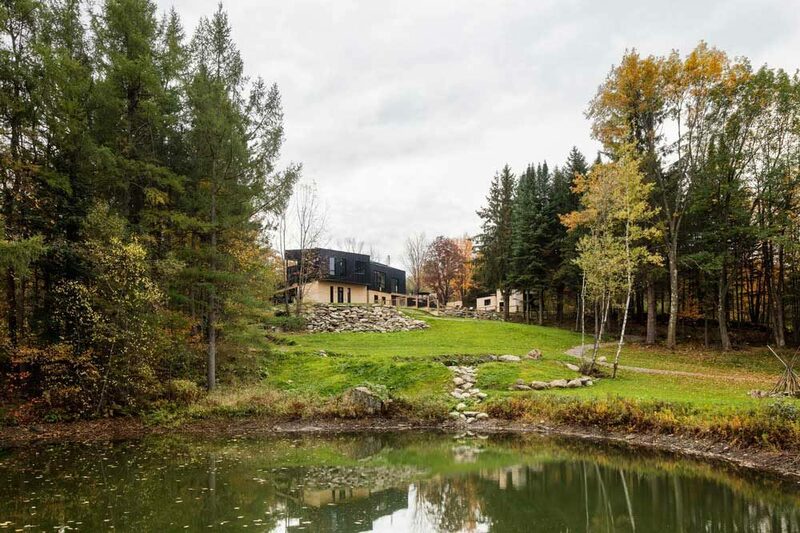 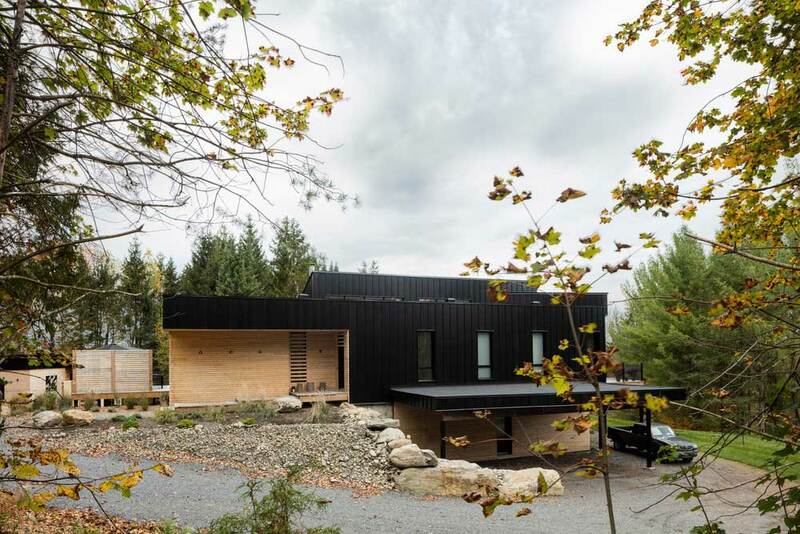 Fashioned out of Montreal, Canada, near the Vermont border, this unique dwelling was the creation of Laurent Guez, who desired to have a cozy and creative cohabit in one all-consuming space. 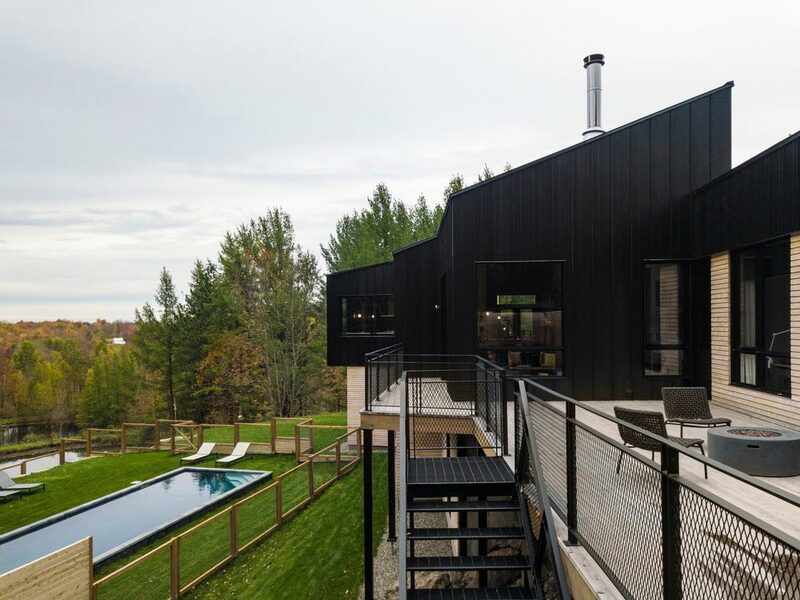 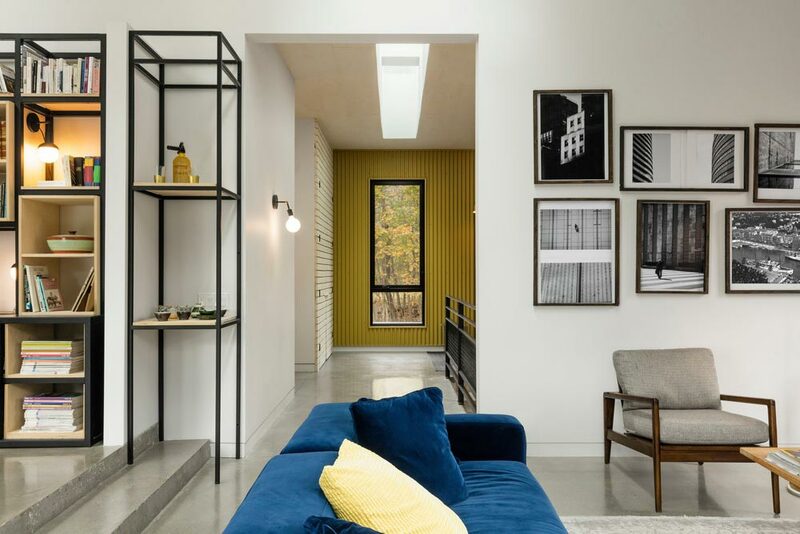 Comprised of four interconnected modules, each space makes its own statement, while most rooms overlook the same pool view and countryside visage. 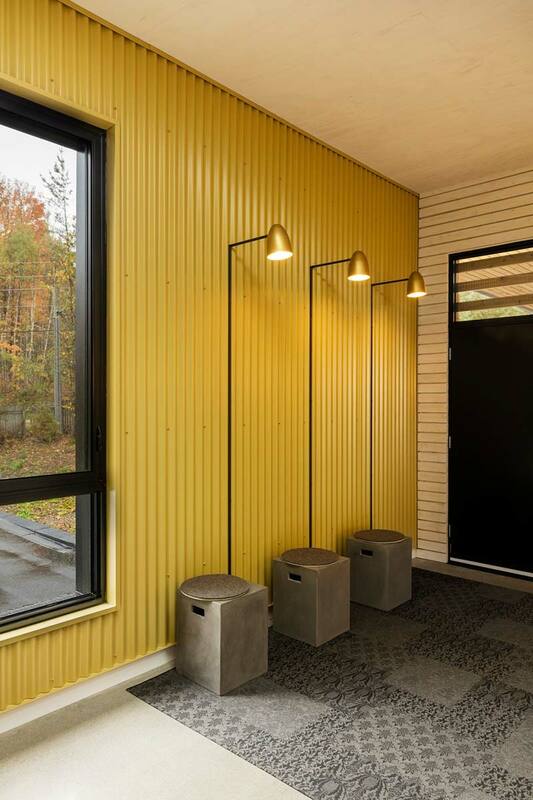 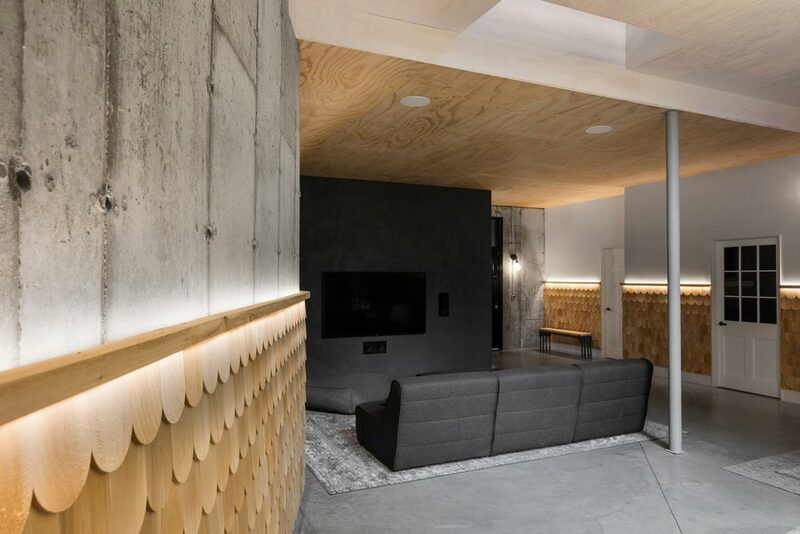 A combination of layered wood, textured concrete, corrugated steel, set within industrial metal and steel plates; Abercorn Chalet is equal parts unconventional and – dare I say, cozy? 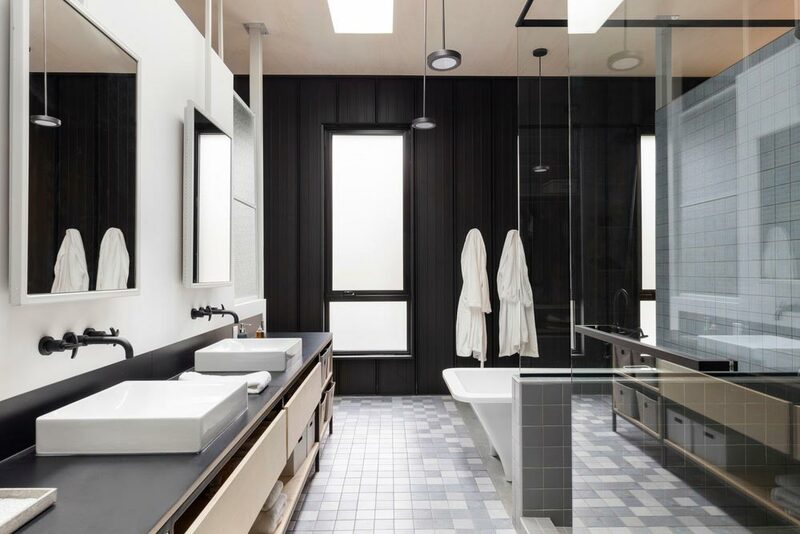 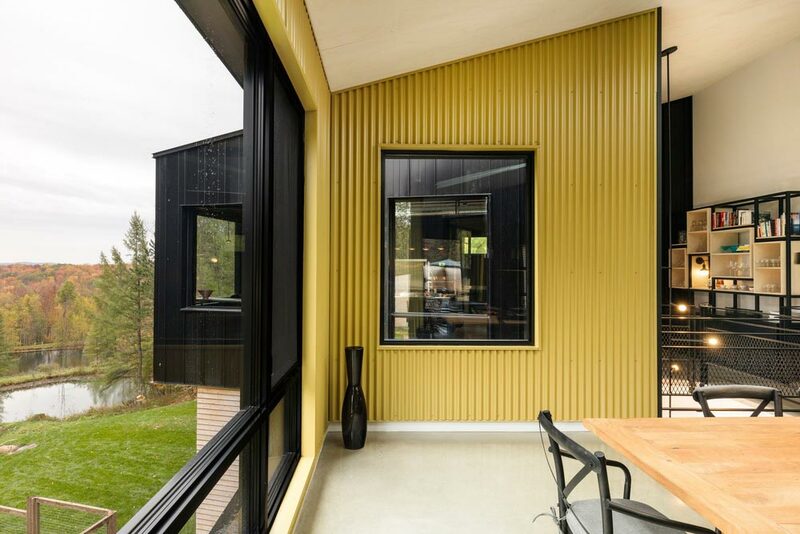 The textured ebony bathroom shower inset, rich black countertops and contrasting white and wood fixtures, build upon other such textured walls – including a mustard yellow partition and black metal railings that separates the upper floor. 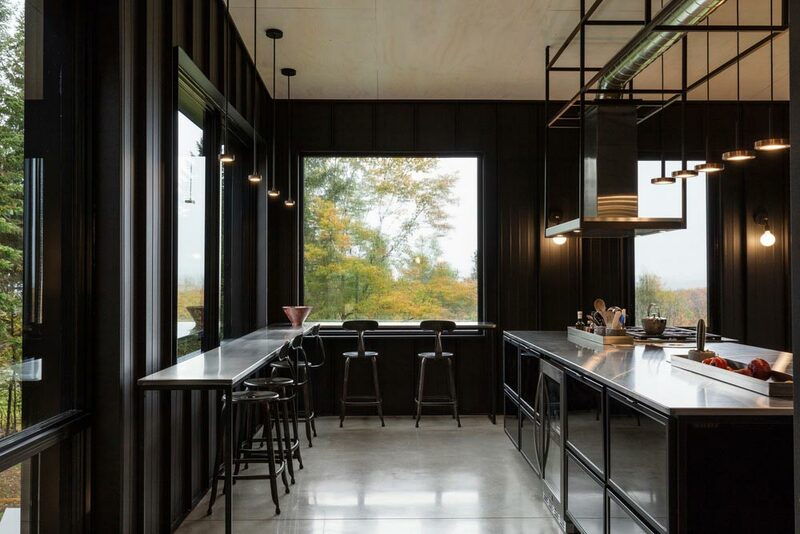 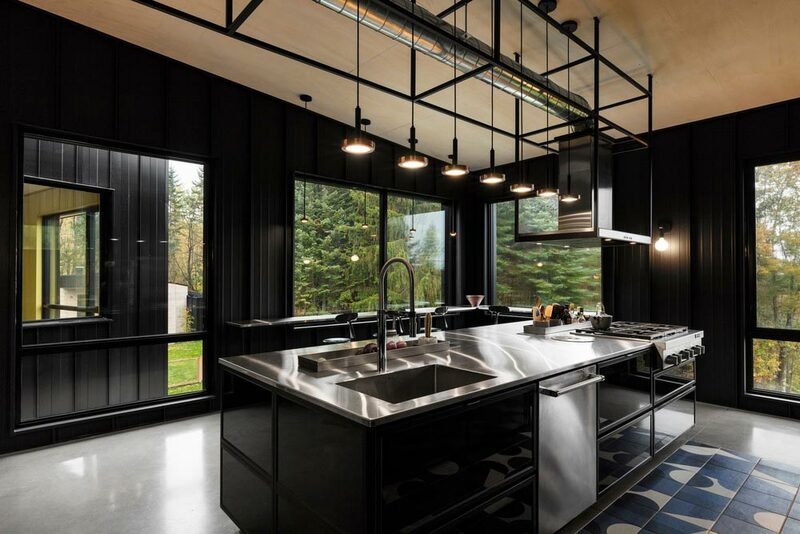 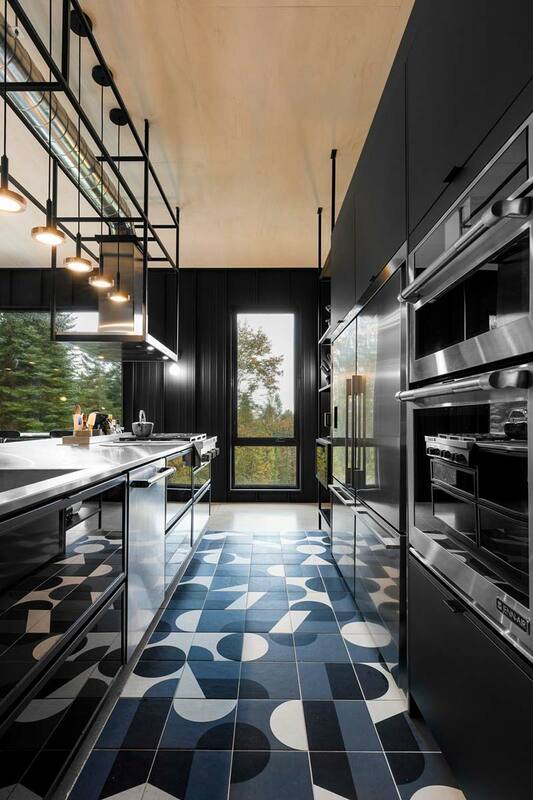 The kitchen is also drenched in black cabinets, walls and lighting, with monochromatic tile flooring breaking up the space along the island, all reminiscent of an industrial restaurant-style kitchen. 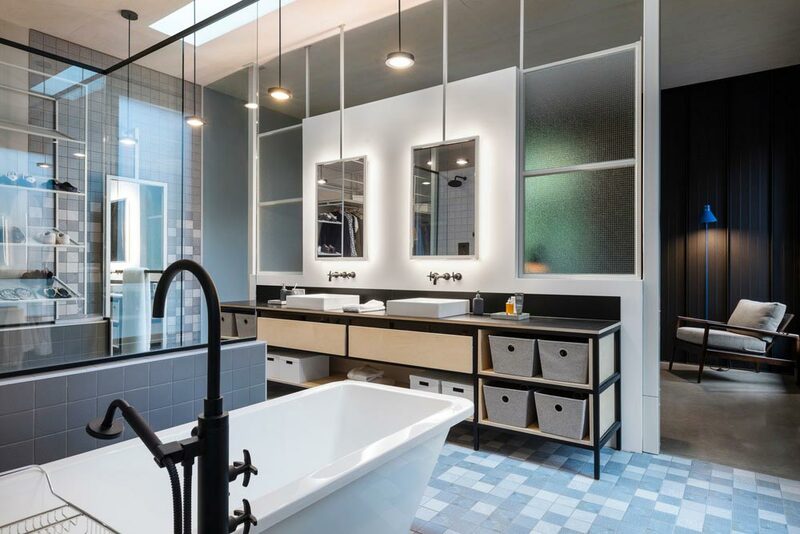 Meanwhile, this same interruption in flooring can be seen in the master bathroom, laid out in a soft blue checkered pattern amidst a walk-in shower, a larger-than-life soaker tub and an industrial style sink; all set between the bedroom and closet area. 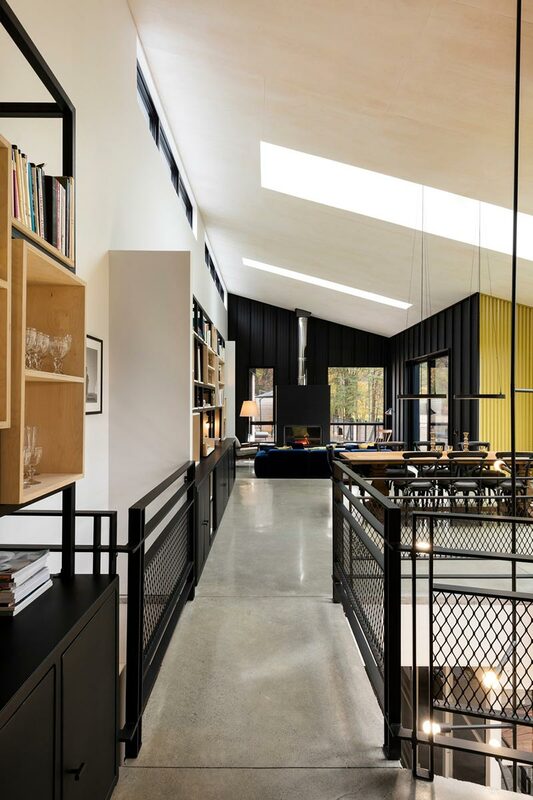 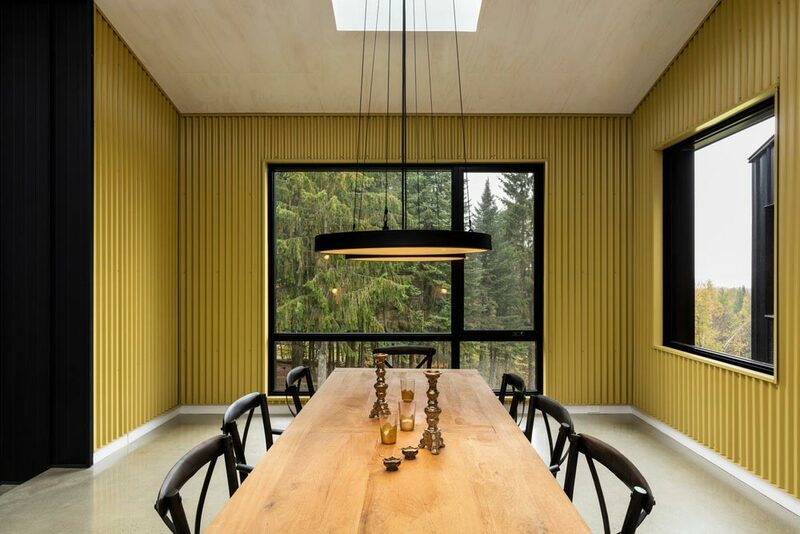 Each space is truly it’s own work of art, mimicking genius room after room, while the interplay found in Abercorn Chalet provides intriguing harmony.